Lelio Basso (25 December 1903 – 16 December 1978) was an Italian democratic socialist politician and journalist. Democratic socialism is a political philosophy that advocates political democracy alongside social ownership of the means of production, with an emphasis on self-management and democratic management of economic institutions within a market or some form of decentralized planned socialist economy. Democratic socialists espouse that capitalism is inherently incompatible with what they hold to be the democratic values of liberty, equality and solidarity; and that these ideals can only be achieved through the realization of a socialist society. Democratic socialism can be supportive of either revolutionary or reformist politics as a means to establish socialism. Lelio Basso was born in Varazze (in the province of Savona) into a Liberal bourgeois family. In 1916, he and his family moved to Milan where he attended the liceo classico Berchet. He enrolled at the Faculty of Law at the University of Pavia in 1921, and joined the Italian Socialist Party (PSI). He studied Marxist doctrine, and was close to Piero Gobetti during his Liberal Revolution phase. In his youth, Basso worked on Critica sociale, Il Caffè, Avanti! , Coscientia, Quarto Stato, and Pietre - which he directed in 1928, initially from Genoa, then from Milan. In 1925, he graduated in Law with a thesis on the concept of freedom in Marxist thought. Varazze is a comune (municipality) in the Province of Savona in the Italian region Liguria, located about 30 kilometres (19 mi) west of Genoa and about 11 kilometres (7 mi) northeast of Savona in the Riviera di Ponente. Nearby in the Ligurian Apennines is the Monte Beigua with its Natural Regional Park. The province of Savona is a province in the Liguria region of Italy. Its capital is the city of Savona, which has a population of 61,219 inhabitants. The province has a total population of 279,754. In April 1928, Basso was arrested by the Fascist authorities in Milan and interned on the island of Ponza, where he studied for his degree in philosophy. He returned to Milan in 1931 and, while practising as a lawyer, graduated with a thesis on Rudolf Otto. In 1934 he once more took up politics as director of the Centro Interno Socialista, with Rodolfo Morandi, Lucio Luzzatto and Eugenio Colorni. This work was interrupted by his imprisonment in the internment camp in Colfiorito (Province of Perugia) from 1939 to 1940. Ponza is the largest island of the Italian Pontine Islands archipelago, located 33 km (21 mi) south of Cape Circeo in the Tyrrhenian Sea. It is also the name of the commune of the island, a part of the province of Latina in the Lazio region. After lengthy, secret preparations, he was present at the founding of the Movimento di Unità Proletaria (MUP) on 10 January 1943. The leading group of the movement was formed by Basso, Luzzatto, Roberto Veratti, and Umberto Recalcati. After 25 July (when Benito Mussolini was ousted by a coup d'état inside his Grand Council of Fascism), the movement joined with the PSI to form the Italian Socialist Party of Proletarian Unity (PSIUP), with Basso as one of the leading figures. Later in 1943, Basso went against the party line to found the clandestine newspaper Bandiera Rossa. In the period leading up to the 1945 Liberation, Basso was an active member of the Italian resistance movement and, with Sandro Pertini and Rodolfo Morandi, he set up the covert executive body of the PSIUP in northern Italy (the territory of the Fascist Italian Social Republic), which he had the responsibility for running. 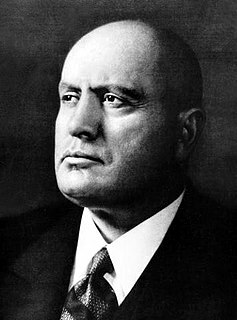 The Grand Council of Fascism was the main body of Mussolini's Fascist government in Italy. A body which held and applied great power to control the institutions of government, it was created as a body of the National Fascist Party in 1923 and became a state body on 9 December 1928. The council usually met at the Palazzo Venezia, Rome, which was also the seat of head of the Italian government. Post-1945, Lelio Basso was elected Vice-secretary of the PSIUP, and, in 1946, became a deputy to the Italian Constituent Assembly which consecrated the Republic. He was on the 75-member Commission that was to write the text of the Italian Constitution, and contributed to the formulation of articles 3 and 49  in particular. From 1946 to 1968, he was consistently elected deputy, and was elected senator in 1972 and 1976. The Italian Constituent Assembly was a parliamentary chamber which existed in Italy from 25 June 1946 until 31 January 1948. It had the task to write a constitution for the Italian Republic, which had replaced the Kingdom of Italy after the Italian civil war. In 1946 he set up the review Quarto Stato , which remained in print until 1950. At the time of the Giuseppe Saragat schism (1947), Basso became Secretary of the PSI, a role he occupied until the Genoa Congress in 1949. In 1950 he was not re-elected to the leading ranks due to his opposing views on the Stalinist leanings of the party at the time. At the 1953 Milan Congress he was not included in the central committee, and was only re-admitted in 1955. At the 1957 Venice Congress, he returned to the ruling body. The following year, Basso launched Problemi del Socialismo (still in print today with the new title Parolechiave). Giuseppe Saragat was an Italian politician who was the fifth President of the Italian Republic from 1964 to 1971. Basso was an active member of the left-wing of the PSI from 1959. In December 1963, he made a voting statement to the Chamber, signed by 24 members of the minority of the Socialist parliamentary group against the first Center-left government (led by Aldo Moro). This earned him suspension from the party, and, in January 1964, he participated in the constituent assembly of the PSIUP. Basso was one of the leaders of the new party, and was its President from 1965 to 1968. Lelio Basso founded and wrote for a number of international publications. He was famous throughout Europe as a criminal lawyer, and sat in the Russell Tribunal, an international body presided by Bertrand Russell, established to judge American crimes in the Vietnam War. In 1973, he worked to establish a second Russell Tribunal to examine the repression being carried out in Latin America, and worked to set up the Permanent Peoples' Tribunal (established after his death, in 1979). In 1973 he also founded the Fondazione Lelio e Lisli Basso in Rome, and, in 1976, the Fondazione Internazionale and the Lega Internazionale per i Diritti e la Liberazione dei Popoli. He died in Rome. Lelio Basso’s life was a medley of intellectual activity and research on the one hand and the search for an effective political instrument on the other, all on an international scale. As an expert and interpreter of the work of Karl Marx, he adopted an original approach in his re-elaboration of the view of Socialism, and drew upon different lines of thought from the sphere of democratic thought in the broadest possible sense (French democratic tradition, German "academic socialism", Italian socialist thought and the Austro-Marxists). During his internment, he read the works of Rosa Luxemburg, and worked tirelessly to promote a critical awareness of her thought in Italy. Alessandro "Sandro" Pertini, was an Italian journalist, partisan and socialist politician who served as the seventh President of the Italian Republic, from 1978 to 1985. Arturo Labriola was an Italian revolutionary syndicalist and socialist politician and journalist. Ferruccio Parri was an Italian partisan and politician who ruled Italy as the 29th Prime Minister of Italy for several months in 1945. During the resistance he was known as Maurizio. The Italian Socialist Party of Proletarian Unity, was a political party in Italy from 1964 to 1972. Anna Kuliscioff was a Jewish Russian revolutionary, a prominent feminist, an anarchist influenced by Mikhail Bakunin, and eventually a Marxist socialist militant; she was mainly active in Italy, where she was one of the first women graduated in Medicine. Claudio Treves was an Italian politician and journalist. Born in Milan on 27 July, 1908, son of the well-known Italian socialist Claudio Treves (1869-1933). Paolo Treves worked for the Milanese socialist paper La Giustizia in the early 1920s and studied under Benedetto Croce, with whom he corresponded until the outbreak of war despite the latter's tacit support for Benito Mussolini. After the Fascist takeover, Paolo was singled out and detained for several months by the government, primarily because of Mussolini's hatred of the elder Treves. Quarto Stato is an Italian political review (1946–1950), closely associated with the Partito Socialista Italiano, the Italian Socialist Party. Critica Sociale is a left-wing Italian newspaper. It is linked to the New Italian Socialist Party. Before Benito Mussolini banned opposition newspapers in 1926, Critica Sociale was a prominent supporter of the original Italian Socialist Party (PSI), which included a spectrum of views from socialism to Marxism. The Italian Marxist–Leninist Party is a communist party in Italy. Founded in Florence in 1977, the leading core of the PMLI began their political activity as they joined the Communist Party of Italy (Marxist–Leninist) in 1967. The group broke away from the PCd'I(ml) in 1969 and formed the Italian Bolshevik Communist Organization Marxist–Leninist. In 1977, the OCBIml was transformed into the PMLI. The current General Secretary is Giovanni Scuderi. Gaetano Arfé was an Italian politician, historian, and journalist. From 1966 to 1976 he published the Avanti!, the official newspaper of the Italian Socialist Party, whom he represented as a Member of the European Parliament (MEP) from 1979 to 1984. He died at the age of 81 on September 13, 2007 in Naples. The Italian Socialist Party is a social-democratic political party in Italy. Carlo Tognoli was an Italian politician, who was Mayor of Milan and minister of the Italian republic. Lelio Lagorio was an Italian politician who served as the first President of Tuscany from 1970 until 1978. Pier Luigi Romita was an Italian politician who was several time minister of the Italian Republic. Salvatore Formica, best known as Rino Formica, is a former Italian politician. Giacomo Montalto was an Italian Republican-inspired socialist, politician and lawyer. He was one of the leaders of the Fasci Siciliani, a popular movement of democratic and socialist inspiration in 1891-1894. Ada Buffulini was an Italian doctor and anti-Fascist campaigner. The Italian Left, "Universities & Left Review", 1957. The Italian Left, "Socialist Register", 1966.